Draft: 2006, New York Yankees, 3rd rd. Was a steady member of the Indians bullpen, finishing fourth on the club in relief innings (62.0) while posting an ERA of 2.61 in 50 relief appearances (15th-lowest relief ERA in the American League)...Tossed a club season-high 3.0 innings of relief on July 31 at Boston...39 of his 50 outings were scoreless as he limited right-handed batters to a .189 (24/127) average against with an OPS of .535...From June 7 thru the end of the season he posted an ERA of 2.15 (37.2IP, 34H,9ER, 35SO)...Fanned 9.6 batters per 9.0IP on the year...Was tied for 14th among American League relievers with 10 outings of at least 2.0IP...Was not on the ALDS roster vs. New York...Batters hit .233 (20/86) off him with runners on base and hit .165 (15/91) when they were behind in the count...Yielded a .333 (12/36) average against with runners in scoring position...Recorded 2 holds...Recorded an ERA of 0.71 in 9 July outings (12.2IP, 10H, 1R/ER, 13SO)...Right-handed batters are hitting .190 (33/174) as a reliever off him since 2016 All-Star Break….Allowed an OPS of 1.319 (15 PAs) with RISP after the All-Star Break...ERA after July 6 was 2.45 (25.2IP, 23H, 7ER) and in Sept/Oct was 0.00 (7.1 IP, 6H, 0R, 2BB, 9SO, .222 avg. Was a steady member of the Indians bullpen, finishing the season on a positive note after a mid-season stint on the disabled list...Recorded scoreless outings over each of his first 8 games (7.1 IP) after being limited in spring training due to an illness...36 of his 51 relief outings on the season were scoreless...Was on the 15-day Disabled List from July 7-28 with right hip discomfort after making a spot start (1.0IP, 1H, 3R/ER) on July 2 at Toronto which was the result of a 19.0-inning contest the previous day...Recorded a relief ERA of 3.10 (49.1IP, 51H, 17ER, 51SO) in 2016 and averaged 9.3 strikeouts per 9.0 IP on the season....Rehabbed at AA Akron and AAA Columbus, July 18-28...Upon his activation from the D.L. he recorded an ERA of 1.40 (25.2IP, 25H, 4ER, 8BB, 26SO) the remainder of the season and from August 5 thru the end of the season posted an ERA of 0.82 (22.0IP, 17H, 2ER, 6BB, 22SO, .207 avg)...Over his last 12 outings after August 25 he allowed 2 runs (1ER) over his last 12.2IP (0.71)...Recorded 7 holds on the season...Batters hit .272 (28-103) off him with runners on base, .236 (17-72) with RISP and .162 (6-37) with RISP-2outs...Allowed an OPS of .788 (122PA's) vs. righties on the year... Right-handed batters struck out 17 times in 50 PA (34.0%) in the second half of the season...Final outing of the season was a rain-shortened spot start at Detroit on Sept 28 (2.0IP 1H, 0R, 1BB, 1K) and was a candidate to start game #162 at Detroit if required. Was a steady member of the Indians bullpen, finishing second on the club in relief innings pitched (65.0), T15th in the American League in relief ERA (2.49) and tied for T8th in relief strikeouts (79)...Started the season as the fifth starter and made his only start in the home opener of April 10 vs. Detroit (4.0+IP, career-high 13 hits, 5R/ER, 5K, HR) and took the loss in the 8-4 Detroit win...Made the rest of his 60 appearances in relief, going 4-3 with a save and a 2.49 ERA (65.0IP, 57H, 18ER, 22BB-4IBB, 79SO)... Earned his first Major League save on July 19, a 5-3, 11.0 inning win at Cincinnati...Enjoyed an 11.2 IP scoreless streak from April 25-May 15 and a 10.2 IP scoreless streak from June 9 thru the end of the season...Worked a career-high 3.2IP in relief on April 14 vs. CWS (3.2IP, 4H, 1ER) in relief of an injured Carlos Carrasco… Posted an ERA of 2.77 in the second half (26.0IP, 25H, 13R/8ER, 11BB, 31SO) and earned 12 holds on the season, T2nd on the club...From August 19 thru the end of the season he recorded an ERA of 2.45 while holding opponents to a .228 average against (14.2IP, 13H, 7R/4ER, 7BB, 16SO)...Batters hit .279 (34-122) off him with men on base and .270 (20-74) with RISP...Allowed 11 of 29 inherited runners to score (37.9%)...Held opposing offenses to a .242 clip (36-for-149) when no one was on and .238 (45-for-189) from the 7th-inning on...When pitching with a lead, McAllister held the opposition to just a .214 average (24-for-112), compared to a .298 clip (31-for-104) when pitching from behind. Zach split the season between Cleveland, the 15-day D.L. and Columbus before flourishing in relief to end the season ... Began the year in the Cleveland rotation where he went 3-4 with a 5.89 ERA (31 ER/47.1 IP ) in 10 starts, before being placed on the 15-day Disabled List on May 22 with lower back inflammation ... After winning three straight starts from April 9-21 (3 ER/19.2 IP ), Z ach went on to lose 4 straight decisions from April 26-May 16 and over a 6 start sp an from April 26-May 21 he went 0-4 w/a 9.51 ERA (23.2IP , 32H, 27R/25ER) before going on the D.L. Made rehab start at Lake County on June 5 and rehab starts at Columbus on June 10 and 14 before being activated from the D.L. on June 18 and op tioned to AAA Columbus the nex t day...Had four more stints with Cleveland from July 12-15, July 19 (26th man), July 26-August 1 and August 31 thru the remainder of the season...Made four spot starts in July, going 0-2 with a 5.95 ERA (19.2IP , 23H, 13ER), sp ending all of August in the AAA Columbus rotation...Had a career-long 7-game losing streak (April 26- Sept. 15) after making final spot start in Houston on Sept. 15 (6.0IP, 7H, 2R/ER), his first start since July 31 vs. Seattle that was brought on by a Sept. 10 rain out...As a starter in 2014 with Cleveland he was 3-7 with a 5.67 ERA in 15 outings (73.0IP , 83H, 46ER, 26BB, 60K ). After first joining the Triple-A Columbus Clippers on June 10, McAllister went 7-1 with a 2.09 ERA (16 ER/69.0 IP, 59 SO , 14 BB) in 11 AAA starts...W orked at least 6.0IP in 10 of the 11 starts and was 2-1 w/a 1.93 ERA in 5 August starts (7 ER/32.2 IP )...Limited Triple-A right-handed hitters to a .196 (27-138) average against...Across 3 stints with the Clip p ers, and one sp ot start with the Lake County Cap tains, McAllister went 7-1 with a 2.33 ERA (19 ER/73.1 IP ) w/ 63 strikeouts, 15 walks, and a 1.10 W HIP in 12 minor league starts. Finished the season on a p ositive note, working in relief 7 times in Sep tember to the tune of 2.77 relief ERA (13.0IP , 13H, 4R/ER, 2BB, 14K ) ... In Sep tember he was 1-1 w/a 2.84 E RA in 8 games/1 start (19.0IP , 20H, 6R/ER, 2BB, 20K ), making his first career relief appearance on Sept. 1 vs. Detroit...Over his final 5 outings he recorded a win (9/24 vs. KC snapped 7-game losing streak) and a hold and as he did not allow a run over those 7.2IP to end the season (4H, 0BB, 9K ). Zach spent his first full season at the Major League level and was one of the club's most consistent starting pitchers, going at least 5.0 innings in 19 of his 24 outings while posting a record of 9-9 with a 3.75ERA in 24 starts...Indians were 15-9 (.625) in his starts...Was on the 15-day DL for the first time in his career from June 3-July 22 (sprained right long (middle) finger and made rehab starts at AA Akron (July 13) and AAA Columbus (July 18) before being activated on July 23 for start at Seattle to start 2nd half...At the time of the injury he was 4-5 w/a 3.43 ERA in 11 first-half starts (65.2IP, 25ER) and following activation he was 5-4 w/a 4.06 ERA in 13 starts after the All-Star break (68.2IP, 31ER). McAllister won 3 consecutive starts, August 13-24, for the first time in his career and posted a 1.83 ERA (4 ER/19.2IP) over that stretch (all 3 of Zach's victories followed a Tribe loss)...Did not win from May 24-August 12 (6GS, careerworst 4G losing streak)...From Sept 24, 2012-May 28, 2013, Zach had held opponents to 3-or-fewer earned runs while completing at least 5.0IP in a career-long 12 consecutive starts (longest such stretch by an Indians starting pitcher since Buddy Black, 16GS, 1989-90)…Luis Tiant holds the Indians franchise record with 20 consecutive starts (1968). Went 2-3 w/a 3.30 ERA in 5 April starts (30.0IP, 27H, 11ER) and followed that up with a stellar May, going 2-1 w/a 2.87ERA in 5 starts (31.1IP, 34H, 10ER)...ERA thru first 8 starts thru May 18 was 2.65, which was 8th-lowest in the AL to start the season...Finger soreness developed over two starts in late May (9.2IP, 17H, 8R-7ER) and early June before being placed on the 15-day DL on June 3...Wrapped up the season with a 2-1, 3.51 September ERA in 5 starts (25.2IP, 27H, 10R/ER)...Walked just 9 right-handed batters in 257 batters faced...Walked 40 left-handed hitters (322 batters)....Basestealers were 7-of-9 against him after he allowed 18-of-19 in steal off him in Cleveland in 2012. Finished 6th among American League rookie pitchers in strikeouts (110), 8th in innings pitched (125.1) and tied for 7th in starts (22)...His 7.9 strikeouts per 9.0 innings pitched led Tribe's starting pitchers as he tossed a career-high 188.2 innings combined on the year. Went 1-1 with a 3.96 ERA in 4 May starts (25.0IP, 25H, 11ER, 6BB, 22K) after being recalled on May 7 when Josh Tomlin went on the DL...Sent back to AAA and recalled for a second and final time on June 28 when Jeanmar Gomez was removed from the rotation...Spent the remainder of the season at the big league level...Over his first 10 starts with Cleveland he was 4-2 with a 3.18 ERA (62.1IP, 61H, 22ER) thru July 26...Combined in August/Sept he was 2-6 with a 5.29ERA in his final 12 starts (63.0IP, 72H, 37ER) and did not win over 8 starts from August 17-Sept 24 and lost a career-high 4 straight decisions, Aug. 28-Sept 19...Career-low 1.2IP on August 6 vs. MinnesotaWent at least 5.0 innings in 18 of his 22 starts and permitted 3ER or less in 16 of those assignments...Picked up his first Major League win on May 7 vs. Chicago-AL (day game, 6.0IP, 6H, 4R/2ER, 1BB, 5K)...Fanned a career-high 8 batters three different times on the season...Batters were successful on 18 of 19 attempts off him during the season at the big league level (15 of 18 in the minors)...Had an ERA of 0.82 (22.0IP, 14H, 2ER) in the first inning. Made 11 starts in Triple-A, going 5-2 with a 2.98 ERA (63.1IP, 59H, 21ER, 5HR, 19BB, 52K, .251AVG)...At the time of his June 28 recall his ERA (2.98) ranked 8th in the International League...After returning to Triple-A on May 25 he went 2-1 w/a 3.18 ERA in 5 starts for the Clippers (28.1IP, 29H, 10ER)...Also had impressive first inning numbers for the Clippers (0.82ERA, 11.0IP, 3H, 1ER) and limited batters to a .175 (10-57) average against with RISP... Named the 6th best prospect in the Indians organization entering 2012 according to Baseball America. Spent most of the season at Triple A Columbus where he had an excellent season, going 12-3 w/a 3.32 ERA (154.2IP, 155H, 61R/57ER, 31BB, 128K, 11HR, .261 avg) in 25 starts... Among Int'l League leaders was T1st in CG (3), T3rd in wins (12), 4th in innings (154.2), 5th in WHIP (1.20), 7th in ERA (3.32) and 7th in strikeouts (128)...Finished the year with two September starts with Cleveland...Selected to the mid-season International League All-Star Team...Led all Indians minor league pitchers in wins (12), was 5th in ERA, 2nd in IP and 4th in strikeouts... Named the 6th best prospect in the Indians organization entering 2012 according to Baseball America...Went 4-0 w/a 3.38 ERA (24.0IP, 24H, 9R/ER, 4BB, 16K) in 4 starts during the month of April... Won each of his first 6 starts of the season going 6-0 w/a 3.00 ERA (39.0IP, 36H, 13R/ER, 6BB, 29K) after his victory on May 9 vs. Charlotte...Improved to 7-0 on the year after his 7.0 inning complete game shutout of Pawtucket on May 20 (7.0IP, 3H, 0R, 0BB, 7K)... Suffered his 1st loss of the season in his 10th start of the year on May 31...Was 3-1 w/a 1.88 ERA (43.0IP, 29H, 11R/9ER, 9BB, 34K) in 6 starts during the month of May...Recalled from AAA Columbus on July 7th & made his Major League debut that night against Toronto, a 5-4 Indians win, however did not factor into the decision as he pitched 4.0IP (5H, 3R/2ER, 3BB, 4K, 94P/56K)... Optioned back to AAA Columbus on July 8th... Did not receive a decision in 5 straight starts (July 18-Aug. 7) following his option, despite allowing no more than 3 runs in any of the 5 starts... Posted a 4.18 ERA (28.0IP, 35H, 13R/ER, 6BB, 26K) over the 5 starts...Recalled from AAA Columbus for 2nd time on August 22nd...Suffered the loss in his 2nd big league start on Aug. 23 vs. Seattle, in GM 2 of the doubleheader, a 12-7 loss to the M's...3.1IP, 9H, 10R/8ER, 2BB, 2K... Optioned back to Columbus August 24... Earned wins in each of his last 2 regular season starts at Columbus...Was 1-1 w/a 3.21 ERA (14.0IP, 16H, 5R/ER, 2BB, 9K) in 2 postseason starts for the International League Champion Clippers...Pitched at least 6.0 innings in 19 of his 25 starts and at least 7.0 innings in 10 of 25 starts...Recalled again on Sept 20 to start that night vs. Chicago (season/career-high 5.1IP)...Over his last 2 starts with Clevelandposted an ERA of 1.74 (10.1IP, 12H, 2ER)... ERA over first 2.0 IP in his 4 starts is 0.00 (8.0IP, 5H, 1R/0ER) and ERA from 3rd inning - on was 11.17 (9.2IP, 21H, 12ER). Spent the season at the Triple-A level between Columbus and the Scranton/Wilkes-Barre Yankees going 9-12 with a5.29ERA in 27 starts (149.2IP, 185H, 88ER, 45BB, 99K)...Began the season with Scranton where he was 8-10 with a5.09ERA in 24 starts and one complete game (132.2IP, 165H, 82R/75ER, 38BB, 88K) before being acquired from theNew York Yankees on August 20th to complete the July 30th trade that sent Austin Kearns to New York for a player tobe named...His 149.2 innings pitched ranked 9th in the International League....The 6-5, 230-pound right-hander entered the 2010 season ranked by Baseball America as the 5th-best prospect andas having the "Best Control" in the Yankees organization...Went 8-10 w/a 5.09 ERA in 24 starts for Scranton (132.2IP,165H, 82R/75ER, 38BB, 88K)...He had a five-start win streak from May 9-June 1 with a 2.41ERA during the five startspan (1CG, 33.7IP, 32H, 9ER, 5BB, 18K, .258avg) and has fanned 25 in 24.1 August innings...Was a non-roster invitethis past spring for the Yankees....Made 3 regular season starts for Columbus and went 1-0 w/a 0.71 ERA in 2 playoff starts for the International Leaguechampion Clippers (12.2IP, 11H, 4R/1ER, 1BB, 9K)...Added to 40-man roster on November 19. Went 7-5 with a league-leading 2.23 ERA in22 starts with Double-A Trenton (121.0IP, 98H, 30ER, 33BB, 96K), earning Yankees Minor League "Pitcher of the Year"... ranked secondamong all Yankees minor leaguers in ERA, trailing only Jose Ramirez (1.41)... held opponents to a .220 batting average (98-for-446)with 4HR... was 4-0 on the road with a 1.98 ERA, allowing just 11ER in 50.0IP away from Waterfront Park... named to the midseasonAll-Star team... missed more than three weeks from 7/16-8/8 on the disabled list with right shoulder inflammation... struck out aseason-high 11 batters in just 4.2IP on 8/19 vs. Erie. Went 14-9 with a 2.09 ERA in 25 combined games (24 starts) betweenSingle-A Charleston and Single-A Tampa, striking out 115 batters while walking only 21... led all Yankees minor leaguers in ERAand tied for most wins... placed seventh among all full-season minor leaguers in ERA... opened the year at Charleston before beingpromoted to Tampa on 5/30... tied for most wins on the Tampa staff (8)... drew a decision in 23 of his 24 starts and held his opponentsscoreless nine times... credited with his first career complete game and shutout on 7/26 vs. Dunedin in Game 1 of a doubleheader,throwing 7.0 scoreless innings and allowing only 3H with 4K... named Florida State League "Pitcher of the Week" for the effort... earnedhis first career save on 8/17 at Lakeland, throwing 4.0 scoreless innings of relief... held opponents to 2ER over his final 31.0IP (0.58ERA)... placed on the disabled list for the final two weeks of the season with a left ankle strain... following the season, was selectedas the organization's sixth-best prospect by Baseball America as well as the 20th-best prospect in the FSL. Was 4-6 with a 5.17ERA in 16 appearances (15 starts) with short-season Single-A Staten Island... ranked third in the New York-Penn League with 75Kand struck out a career-high 10 batters on 7/11 vs. Auburn... was named to the NYPL North All-Star team. Made professionaldebut with the Yankees' Gulf Coast League squad, posting a 5-2 record with a 3.09 ERA... ranked second among all GCL pitchers inwins. April 4, 2019 Los Angeles Dodgers signed free agent RHP Zach McAllister to a minor league contract. April 4, 2019 RHP Zach McAllister assigned to Oklahoma City Dodgers. March 25, 2019 Texas Rangers released RHP Zach McAllister. 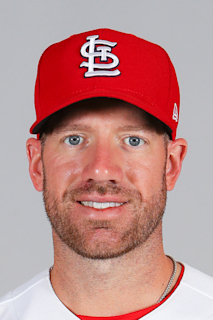 January 22, 2019 Texas Rangers signed free agent RHP Zach McAllister. November 2, 2018 RHP Zach McAllister elected free agency. August 27, 2018 Los Angeles Dodgers signed free agent RHP Zach McAllister to a minor league contract. August 27, 2018 RHP Zach McAllister assigned to Oklahoma City Dodgers. August 22, 2018 RHP Zach McAllister elected free agency. August 21, 2018 Detroit Tigers sent RHP Zach McAllister outright to Toledo Mud Hens. August 19, 2018 Detroit Tigers designated RHP Zach McAllister for assignment. August 10, 2018 Detroit Tigers signed free agent RHP Zach McAllister. August 7, 2018 Cleveland Indians released RHP Zach McAllister. August 3, 2018 Cleveland Indians designated RHP Zach McAllister for assignment. October 12, 2017 Cleveland Indians activated RHP Zach McAllister. October 5, 2017 Cleveland Indians reassigned RHP Zach McAllister to the minor leagues. July 29, 2016 Cleveland Indians reassigned RHP Zach McAllister to the minor leagues. July 25, 2016 Cleveland Indians sent RHP Zach McAllister on a rehab assignment to Akron RubberDucks. July 18, 2016 Cleveland Indians sent RHP Zach McAllister on a rehab assignment to Columbus Clippers. July 7, 2016 Cleveland Indians placed RHP Zach McAllister on the 15-day disabled list. Right hip discomfort. August 31, 2014 Cleveland Indians recalled RHP Zach McAllister from Columbus Clippers. August 3, 2014 Cleveland Indians optioned RHP Zach McAllister to Columbus Clippers. August 1, 2014 Cleveland Indians designated Zach McAllister for assignment. July 26, 2014 Cleveland Indians recalled RHP Zach McAllister from Columbus Clippers. July 20, 2014 Cleveland Indians optioned RHP Zach McAllister to Columbus Clippers. July 19, 2014 Cleveland Indians recalled Zach McAllister from Columbus Clippers. July 15, 2014 Cleveland Indians optioned RHP Zach McAllister to Columbus Clippers. July 12, 2014 Cleveland Indians recalled Zach McAllister from Columbus Clippers. June 20, 2014 Cleveland Indians optioned RHP Zach McAllister to Columbus Clippers. June 18, 2014 Zach McAllister roster status changed by Cleveland Indians. June 10, 2014 Cleveland Indians sent RHP Zach McAllister on a rehab assignment to Columbus Clippers. June 4, 2014 Cleveland Indians sent RHP Zach McAllister on a rehab assignment to Lake County Captains. October 4, 2013 Cleveland Indians activated RHP Zach McAllister. October 2, 2013 Cleveland Indians reassigned RHP Zach McAllister to the minor leagues. July 23, 2013 Cleveland Indians activated RHP Zach McAllister from the 15-day disabled list. July 18, 2013 Cleveland Indians sent RHP Zach McAllister on a rehab assignment to Columbus Clippers. July 13, 2013 Cleveland Indians sent RHP Zach McAllister on a rehab assignment to Akron Aeros. June 8, 2013 Cleveland Indians placed RHP Zach McAllister on the 15-day disabled list retroactive to June 3, 2013. Right middle finger sprain. June 28, 2012 Cleveland Indians recalled Zach McAllister from Columbus Clippers. May 25, 2012 Cleveland Indians optioned Zach McAllister to Columbus Clippers. May 12, 2012 Cleveland Indians recalled Zach McAllister from Columbus Clippers. May 8, 2012 Cleveland Indians optioned Zach McAllister to Columbus Clippers. May 7, 2012 Cleveland Indians recalled Zach McAllister from Columbus Clippers. March 22, 2012 Cleveland Indians optioned Zach McAllister to Columbus Clippers. September 19, 2011 Cleveland Indians recalled Zach McAllister from Columbus Clippers. August 24, 2011 Cleveland Indians optioned Zach McAllister to Columbus Clippers. August 23, 2011 Cleveland Indians recalled Zach McAllister from Columbus Clippers. July 8, 2011 Cleveland Indians optioned Zach McAllister to Columbus Clippers. July 7, 2011 Cleveland Indians recalled Zach McAllister from Columbus Clippers. March 14, 2011 Cleveland Indians optioned Zach McAllister to Columbus Clippers. November 19, 2010 Cleveland Indians selected the contract of Zach McAllister from Columbus Clippers. August 24, 2010 Zach McAllister roster status changed by Columbus Clippers. August 21, 2010 Columbus Clippers placed RHP Zach McAllister on the reserve list. August 20, 2010 Scranton/Wilkes-Barre Yankees traded Zach McAllister to Columbus Clippers. June 11, 2010 Zach McAllister roster status changed by Scranton/Wilkes-Barre Yankees. June 3, 2010 Scranton/Wilkes-Barre Yankees placed RHP Zach McAllister on the 7-day disabled list. February 8, 2010 New York Yankees invited non-roster RHP Zach McAllister to spring training. September 9, 2009 RHP Zach McAllister assigned to Scranton/Wilkes-Barre Yankees from Trenton Thunder. August 8, 2009 Zach McAllister roster status changed by Trenton Thunder. July 16, 2009 Trenton Thunder placed RHP Zach McAllister on the 7-day disabled list retroactive to July 14, 2009.